James adores craft activities and there is nothing much better to keep a child entertained on a rainy day stuck indoors than a day of crafts! I am in awe of James imagination and what he can create with a few simple objects and his own imagination. So when we received a lovely bundle of Plasticine products for James to try out from Flair I knew he would be over the moon, it also brought back childhood memories for me! James immediately noticed the Ninja Turtle squidgems (no surprise as he is a huge ninja turtle fan!) and he was so excited at the possibility of creating his own ninja turtle. The squidgems kit comes with the 2 colours of plasticine you require as well as thin cardboard accessories which you apply to the plasticine once you have moulded the body, head, arms etc to create all of the details such as eyes and weapons. 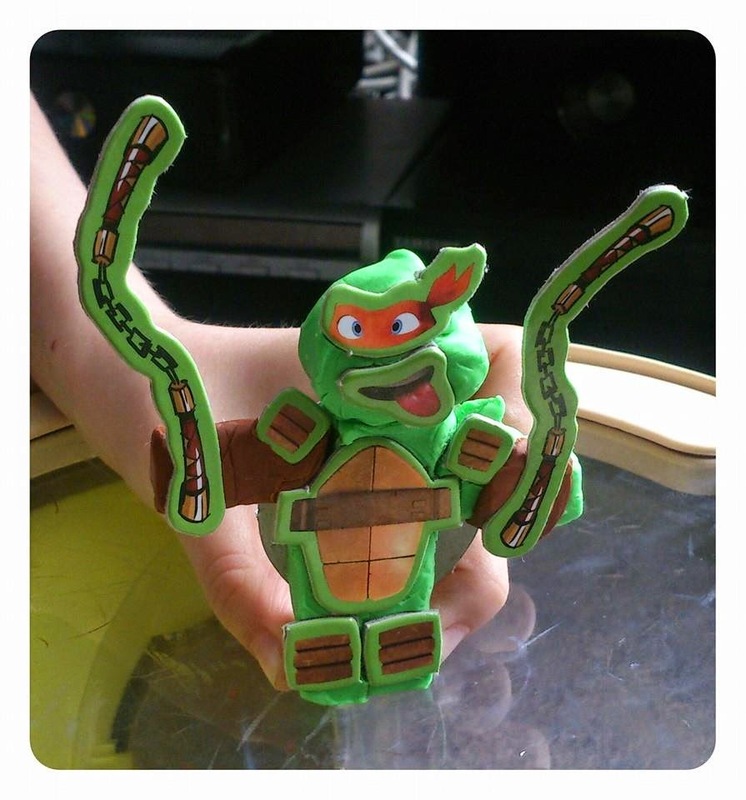 Priced at just £1.49 these make great inexpensive activities or gifts for any ninja turtle fan. Also included in our plasticine bundle was this set of colourmax plasticine (rrp £2.99) which is a set of 24 tubes of plasticine in a wide variety of colours. Or if you are looking for slightly larger quantities of plasticine you can also purchase the Funtubulous set (rrp £6.99) which include 7 larger tubes of plasticine + 4 cutters. There are no instructions or limitations with plasticine which is what makes it so great! For me Plasticine is one of those childhood toys that will never go out of fashion and even as an adult I had the urge to sit down with James and help him make little creatures. The great thing about plasticine is that it doesn't dry out either so your creations can be kept or reused later on to make something different without having to ever worry that the Plasticine will dry out and become unusable. We did find that one the colour's were mixed they were almost impossible to separate again however this didn't really bother James as he wanted to keep his models once they were made anyway. 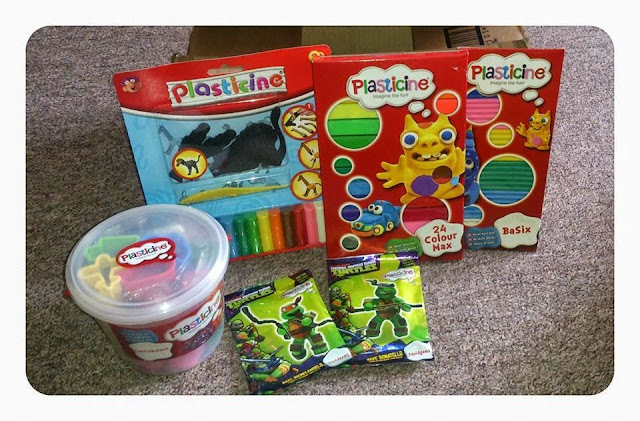 If you want to find out more about Plasticine and the wide variety of products you can buy pop over to the Flair website here - www.flairplc.co.uk. Do your kids or you love to create with plasticine too? What do your kids love to create? I used to love Plasticine when I was a child and now I'm a mum it gives me an excuse to play with it again! This looks like a lovely selection and those little dinosaurs are very cute! 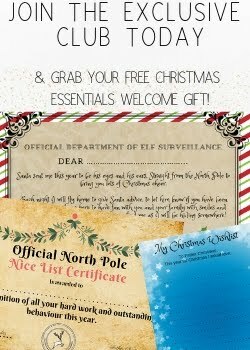 Will check out the Flair website to see what I can find. I used to love plasticine but the colours would stain. It's good to see them coming up with new ideas to reinvent themselves. Love plasticine. It's one of those classic, creative toys that will never go away. What a great selection of crafty goodies. I run a craft group and the kids love making things out of plasticine. Syd loves plasticine and play doh - keeps him busy for hours in a creative way - wish it didnt end up in the carpet quite so often tho! 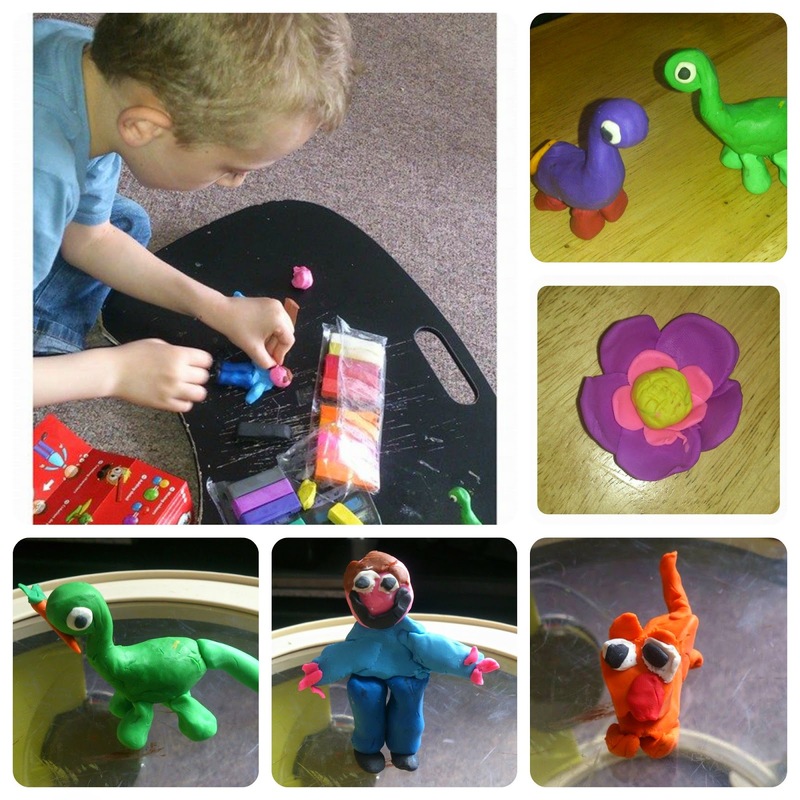 I love plasticine - great to take away on trips and just easy to keep everyone entertained. Jack loves to create anything - he has such a wild imagination!